The Magic Stories is a supplemental reading program designed to build confidence and reading fluency in budding readers. The stories are published by Allsaid & Dunn, LLC, publishers of The Reading Game and authors of the Wordly Wise series. 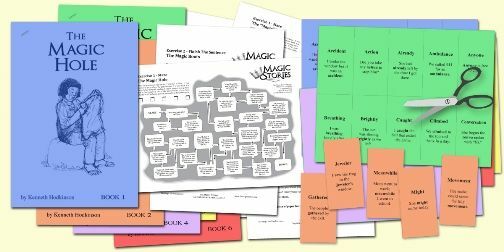 The Magic Stories is a collection of six stories (downloadable PDFs), each with four follow-up activities that include writing and cognition building exercises. The stories are written at a 2nd/3rd grade level. Each story comes with its own set of “Naughty 40” word cards. The Naughty 40 Words are the more challenging words that your child will encounter when reading the story. I’d recommend reviewing the words with your child before they read the story so they don’t get frustrated when trying to read. The cards can be printed out on 4 sheets of paper or cardstock and cut into flashcards. 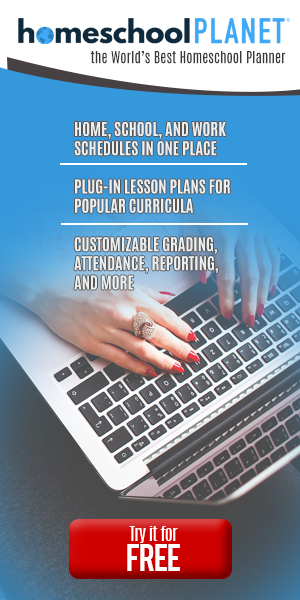 The four sets of worksheets per storybook that also come with the program are reading comprehension and creative writing exercises. The worksheets cover language art skills, like recall and comprehension, cognition, and creative writing. The four worksheets for each book are called Maze, Finish The Sentence, Imagine, and Finish The Story. The stories can be used on an iPad, computer, or printed out on standard 8.5″ x11” paper or cardstock. Each book is around 20 pages long and your child can color in the drawings and sketches that accompany each story. Each of the fun stories has a moral, which is nice. Also, each book assumes knowledge of the previous book’s Naughty 40 words, so be sure to read the books in order. Along with the exercises that work with each of the six stories in the series, Allsaid & Dunn (publisher) has also created a FREE 100-word reading assessment sheet (pulled directly from the stories) that you can have the student read aloud to assess his/her overall reading fluency for each book. You can find the individual reading assessment PDFs on the website. The complete six-book set is available for $16.95. The stories are fun! Because my children who would enjoy these stories are in first grade, I ended up doing more reading than they did. However, they did enjoy listening to them and coloring the drawings. I just printed the stories on regular paper and they colored the pages as I read. Below you’ll find an example of one of the drawings. This particular one is from The Magic Hotdog. The kids can’t read them alone just yet, but because they are good stories, I plan to keep them on hand. They’re fun and lead to good conversations about why some of the characters did what they did and perhaps why they shouldn’t have done what they did. I totally recommend The Magic Stories to homeschooling families everywhere.